Mr Bergmann has lodged a complaint with the Department of Indigenous Affairs, which has said it is investigating the matter. Test production of oil began at Ungani, about 100km east of Broome, earlier this year, in the first commercial onshore production in the region since the Blina oilfield started up in 1983. In partnership with Buru Energy, Mitsubishi owns 50 per cent of the exploration tenements in the Canning Basin, in northern Western Australia. Buru Energy executive director Eric Streitberg said all of Buru’s operations were conducted after heritage clearances were obtained from traditional owners. The area in question was being prepared for a geophysical survey to be carried out, he said. 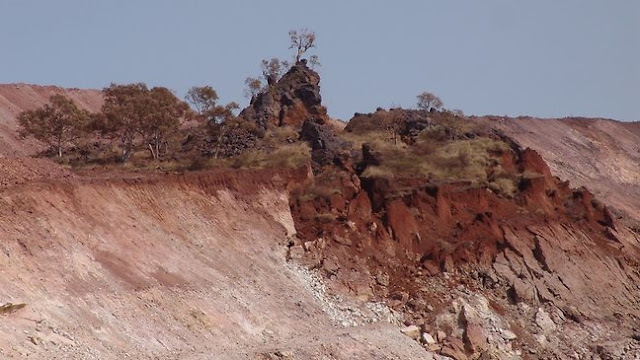 “This particular work was conducted following extensive consultation with the Nyikina Mangala people over a period of nine months and has included on-ground monitoring by the traditional owners,” he said. 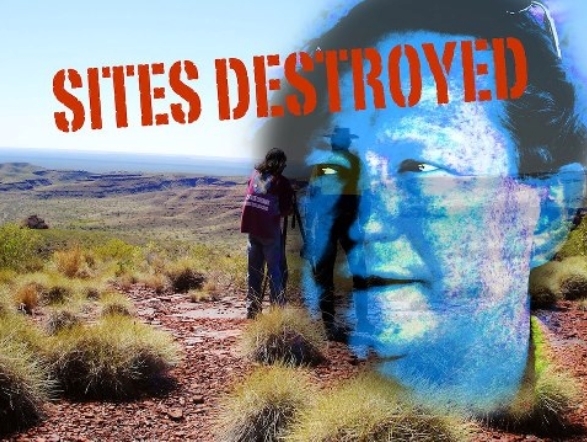 He said there were no sites registered with the Department of Indigenous Affairs in the area of the alleged disturbance. However, Buru had agreed to halt works while investigations were carried out. “As soon as Buru was made aware of the concerns, operations ceased in the area in question and the company will not conduct any further work in that area until all investigations are complete,” he said. A Department of Indigenous Affairs spokesman said the Aboriginal Heritage Act protected all Aboriginal sites even if they were not recorded on the register. nThe Department was advised of the allegation yesterday and responded immediately, he said. Buru shares closed down one cent at $2.81. 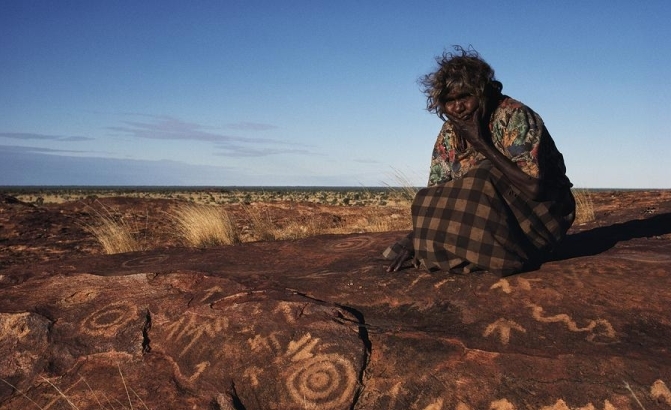 Responses to "Mining company accused of destroying Aboriginal site and ancient Rock arts"
It is despicable, in this day and age, that major mining companies, and major industrial conglomerates such as Mitsubishi, can simply decide they have the unassailable right to ride roughshod over the rights of Indigenous peoples of Australia, or anywhere, and disturb sacred ground, in the process destroying priceless antiquities any country would be privileged to have. Industrial conglomerates and private individuals should learn to respect Indigenous peoples and their rights, and work within the United Nations Declaration on the rights of Indigenous peoples. It's bad enough that oil companies and other corporations all over the world are actively killing the planet and all its beauty, but it's all the more heartbreaking when they erase the precious evidence of human history, the traditions and memories of those who came before us. A lack of respect! The Companies are aware of what needs to be protected in Country - but money comes first. The agreement should be cancelled - how much are the Indigenous owners getting? I hope it's worth it!